Keep your pets warm and cozy! 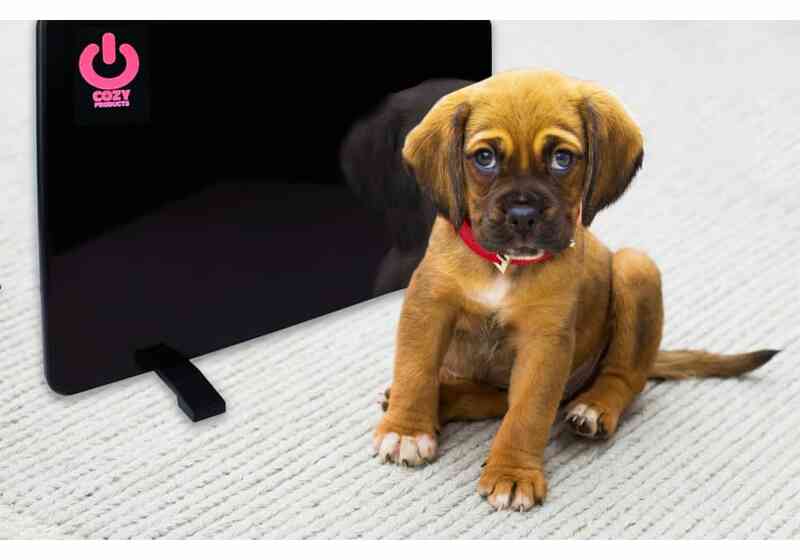 The Pet Warmer is a safe, low wattage panel heater that provides gentle radiant heat to cats, dogs and other animals. The Pet Warmer is only 5/8" thick and is a safe, powerful heater for animals. Mounts anywhere or use with "feet" (included). This Pet Heater does not produce intense heat like a typical space heater and only uses about 13% the electricity of a standard 1,500 watt space heater. 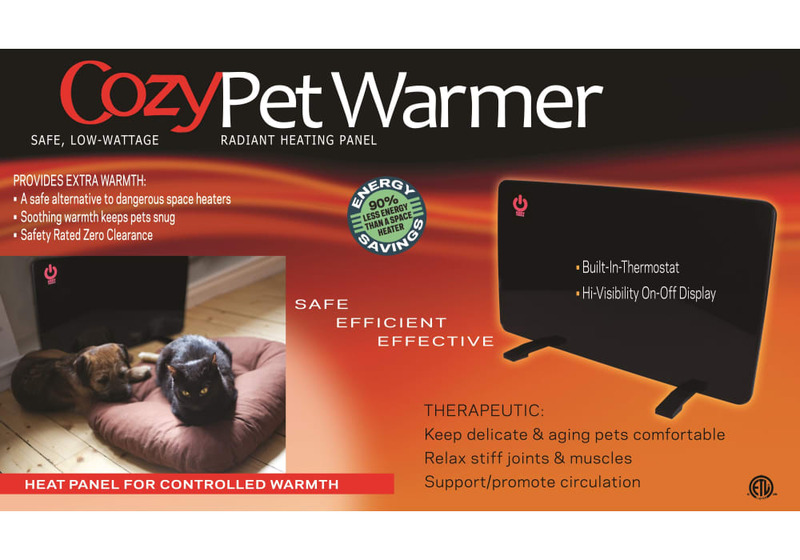 Great for older pets or animals that crave extra warmth. Intended for indoor use only. Zero-Clearance products have been approved by the ETL to be mounted with 'zero-clearance', meaning they can be placed on or against combustible items without causing a fire hazard. Zero-clearance approval eliminates the need for a buffer zone and allows a heating unit to fit in small, tight spaces or to be mounted directly on walls, wood, paneling, etc. 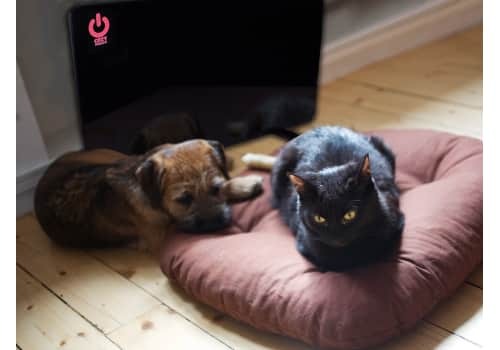 The Pet Warmer primarily uses radiant heating technology, which is the transfer of heat from one object to another. In other words, warmth comes from being in very close proximity to the heated panel. This pet heater is not designed to heat an entire room or space - it is instead meant to warm any animal who sits/stands right next to it. Save energy. Typical space heaters use 1500-2500 watts while the Pet Warmer uses only 200 watts. It reduces energy consumption, tripped circuit breakers, & fire hazards.